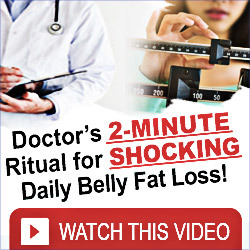 You have come across a magical weight loss cure that involves no exercise and can give you results in a short time without telling you the whole story. Ever so often, the weight loss cure that is being put forth as effective has not been tested over time for its effects on health. While there is no denying that some cures are effective, there are certain signs that you are not choosing the right diet for your body. Digestion You are advised to gorge on salads as a part of a weight loss cure. Though salads are low on calorie content, if not washed properly the vegetables will cause havoc with your health. The second thing is that salads are not easy to digest. 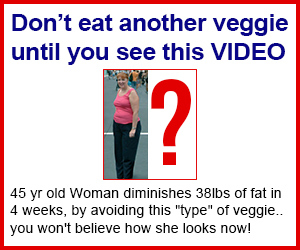 Opt for boiled vegetables if you face this problem. Often the cure focuses on a particular food or set of foods to give you the success of reaching your target weight. If your stomach does not feel sated after a prescribed meal and leads to severe hunger pangs soon afterwards, eat more cooked food. If you feel constipated, add spinach soup into your daily meal plan. Skin tone The weight loss cure will not tell you the effect of extreme food reduction on your skin. Reduced fat intake makes the skin sag and if you have not taken care to consume sufficient fluids, it will look lifeless. To keep the skin looking good, consume fish oils, dry fruits and lots of water or green tea. Add honey and lime to your green tea to maintain your skin tone. Indulge your skin in a routine that involves cleansing and moisturising at least once a week. Get a check to see if you are low on calcium, it is better to increase your fat intake by one or two teaspoons and consume calcium rich vegetables every day. These are more effective than calcium supplements though they take longer to show effect on the body. Muscle tone The only way to maintain muscle tone is through regular exercise and good protein intake. A weight loss cure that advocates high protein and low carbohydrate is a good way to boost the muscle tone of your body but you must watch out for the long term impact on your kidneys. In case you want your muscle cuts to appear, a reduction in water consumption is recommended. The reduction of fluids and the decline in carbohydrates increase the ketones in your body. Ensure that you take a doctors advice about your plan of action. If you are opting for this route as a short term measure, understand how long your body can continue without damaging your organs. Effect on face The face tells the tale of all that you are going through physically. The skin around your chin and lips sags and your cheeks develop a hanging skin look. The reduced fat intake tells on the skin of your face and the back of your palms. The absence of sufficient food variety can lead to the worsening of acne and a variety of skin conditions that require long term treatment to cure. A weight loss cure that keeps you devoid of food on a long term and helps you reduce weight must be clear of unwanted effects on the body.